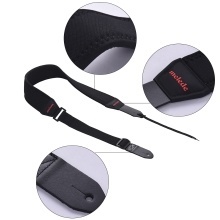 Soft neoprene material belt, lightweight and elastic. Thickened design, more comfortable and breathable. Adjustable length from 112-134cm, 6.5cm in width, fits for different persons.